Jonathan Lambert, Frédéric Chau, Christophe Tek et al. Part comedy, part indie drama, and inspired by real events from the late 1970s, this acclaimed three-part mini-series from the award-winning producers of Baron Noir tells the story of a disillusioned film director who finds inspiration under the strangest of circumstances...While shooting another mindless action flick in Asia, French director Mathieu Stannis is abducted by spies from a neighbouring dictatorship. 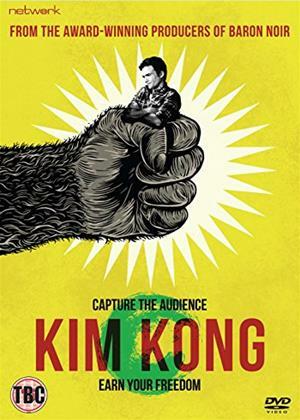 Enraged by his country's abysmal standard of movie production, its Hollywood-fixated Supreme Leader wants Mathieu to helm a self-penned re-imagining of King Kong that will glorify his regime. Mathieu faces a stark choice: shoot the movie, or they ll shoot him. Hampered by an inept crew, Cold War-era kit and the unpredictable demands of the Commander, Mathieu nevertheless rediscovers a long-lost creativity and passion for his art. Danger, however, is ever-present and when the CIA offers a chance of freedom in exchange for valuable information, it could be his best hope of returning home. But will he be able to make the movie in time?